Researchers from the University of Montreal, in Canada, asked parents of nearly two thousand 2 year-olds how much TV they watched, and then reviewed the lifestyle habits and health outcomes for those children  11 years later, at the age of 13. For every 1 hour and 13 minutes per day a 2 year-old watched television there was an 8.2% increased risk of unhealthy eating habits, a 13.3% increase in BMI, a 4.7% decrease in student engagement, and a 5.8% increase in concurrent screen time (where the child uses another screen while watching TV). If the child watched 2 hours and 26 minutes of television, those numbers doubled. 3 hours and 39 minutes, tripled. Recent research  from the Australian Communications and Media Authority (ACMA) shows that watching television and other screen content is a regular part of daily life for Aussie kids as well. Their study found children under the age of 14 are increasingly viewing entertainment on tablets, smartphones, and laptops, and ignoring free-to-air broadcasts in favour of pay-TV and online streaming services like Netflix. And they’re watching, on average, 10.6 hours of programming. That doesn’t include games and social media time. The Australian Institute of Family Studies tells a more concerning story. 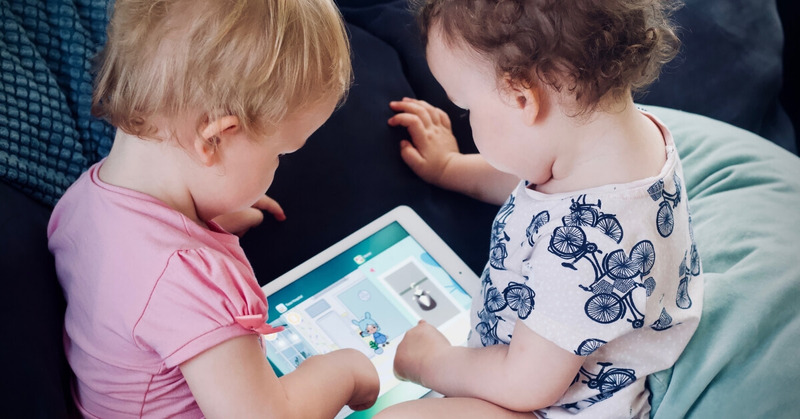 Their  research, conducted as part of the Longitudinal Study of Australian Children, tracked the screen habits of 4,000 pre-schoolers through to their early teens, recording a steady increase in time spent watching television, on computers and playing electronic games. By the age of 12-13 years old, Australian children spent an average of 3 hours per weekday and almost 4 hours per weekend day using screens. This is around 20% of their waking time on weekdays and 30% on weekends. Parents, we need to pay attention. Excessive television viewing by children is associated with worsening health and obesity. The physical health costs are significant, but the flow on to psychological health is even more so. Social opportunities are reduced. Kids who are overweight and obese are more likely to be bullied. They’re more likely to have low self-esteem. And they’re less likely to flourish academically. The longer-term ramifications may be even more serious. TV has been around for ages. But it seems too many of us are not aware of the metaphoric deepening water and the danger to our kids. Technology use has increased exponentially among adults, and because of it, “technoference” (everyday intrusions and interruptions due to technology devices) has increased as well. Research  shows technoference leads to more conflict, lower relationship satisfaction, more symptoms of depression, and less life satisfaction. When technology interferes with conversations, activities, and quality time with our loved ones, our relationships suffer, including the relationships with our children. So getting off the screens is good for us too. We need to show our kids that we control technology, we aren’t controlled by it. Have a set of rules governing screen use, and follow them. Lead by example. Parents need to be aware of how their children are spending their limited waking hours. What they are doing now affects the rest of their lives. The ACMA study showed that too many parents don’t monitor anything that their kids do on screens. Our kids’ brains need the right kind of stimulation to develop. To get this stimulation they need to be interacting with others, especially their parents. They need use their bodies to run, climb, tumble, and just generally move. This is how humans develop the ability to focus, concentrate, pay attention, develop language, and show empathy. Excessive screen time takes away the opportunity for developmental stimulation. If a child spends two hours every day in front of the television, this is two hours not spent playing in the garden, riding bikes, or reading. Screens and devices are, for better or for worse, part of our lives. But they should remain just that, part of our lives. Children under two should have no screen time at all, including television. Their brains are still developing and they need all of their waking hours to get the experiences this requires. Older children should have consistent limits set on the time they spend in front of the television or on electronic media, and on the content as well. Our children are ceaselessly exposed to content that is inappropriate, developmentally and morally. When they do use screens, we should ensure the content is good quality and age appropriate. Our kids don’t need smart phones, but they do need smart parents to give guidelines and set good examples. Previous PostPrevious What Do I Do When I Offend Someone Sharing My Faith?